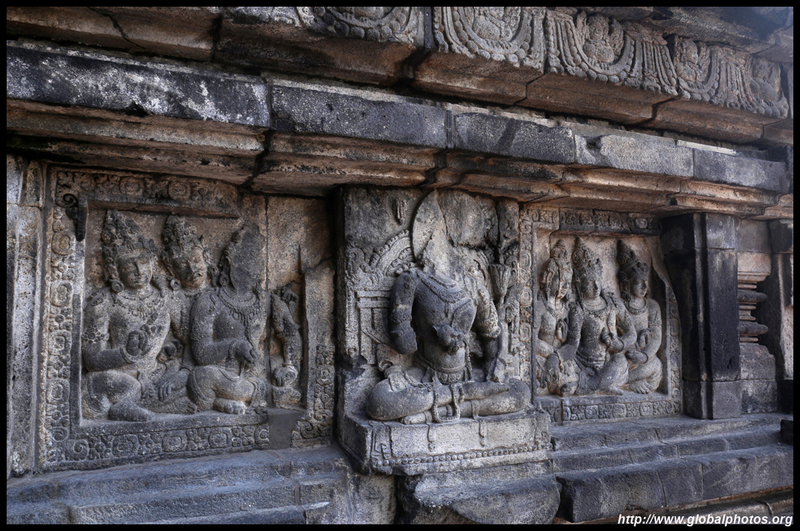 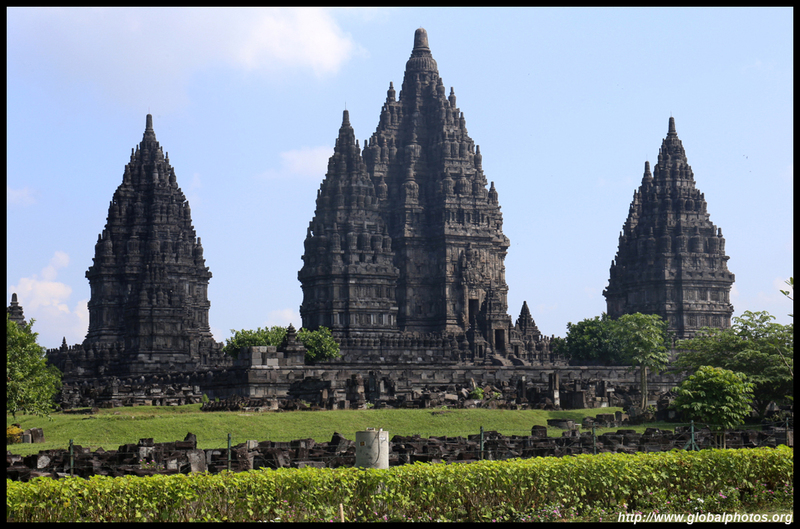 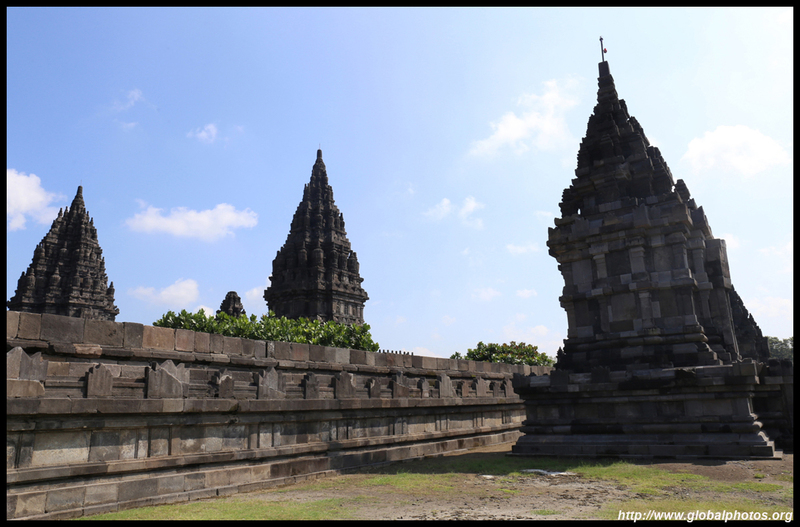 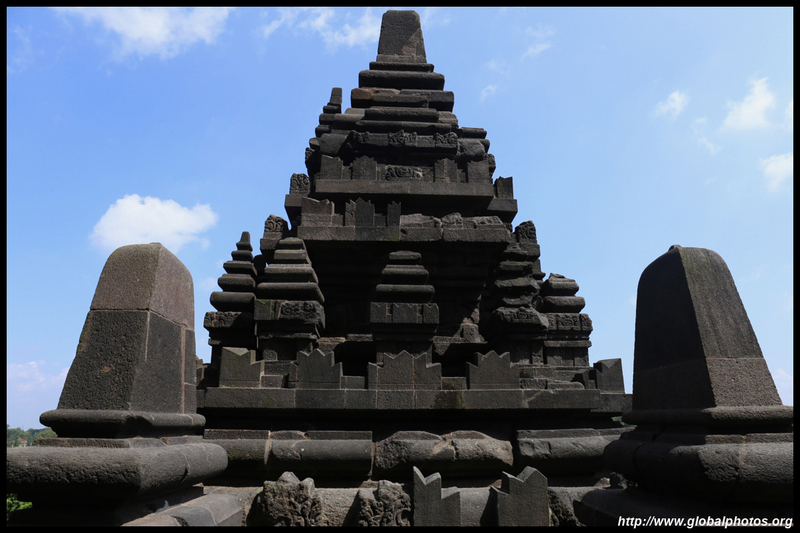 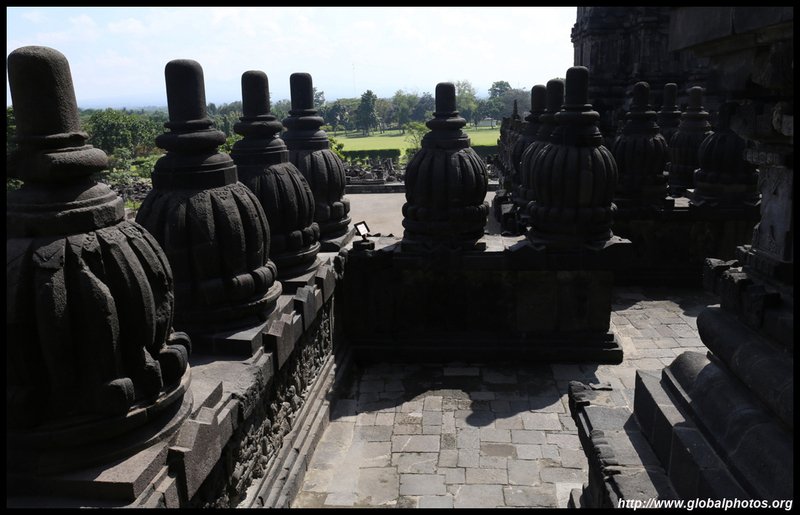 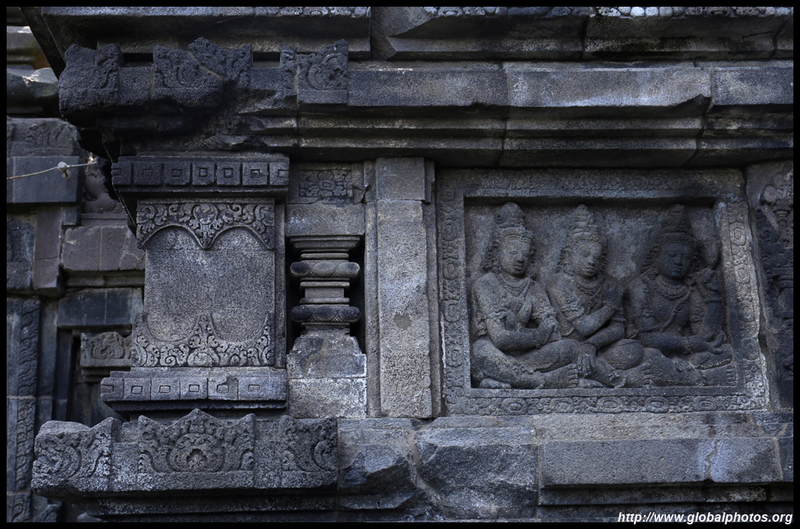 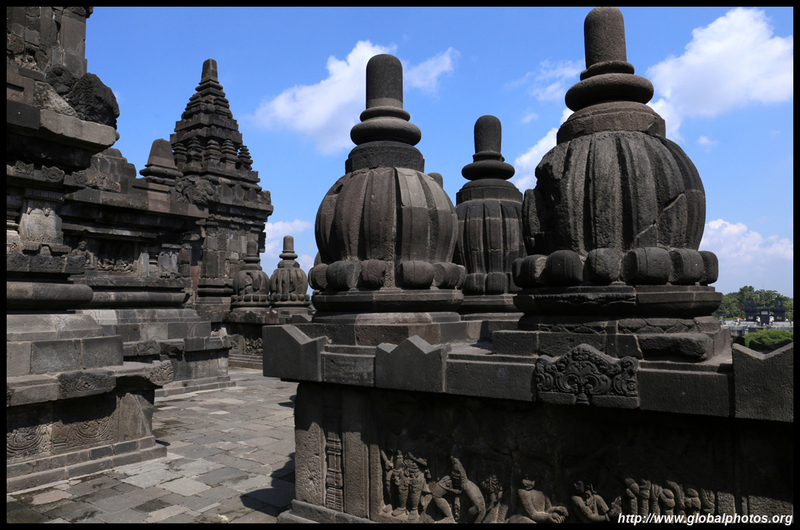 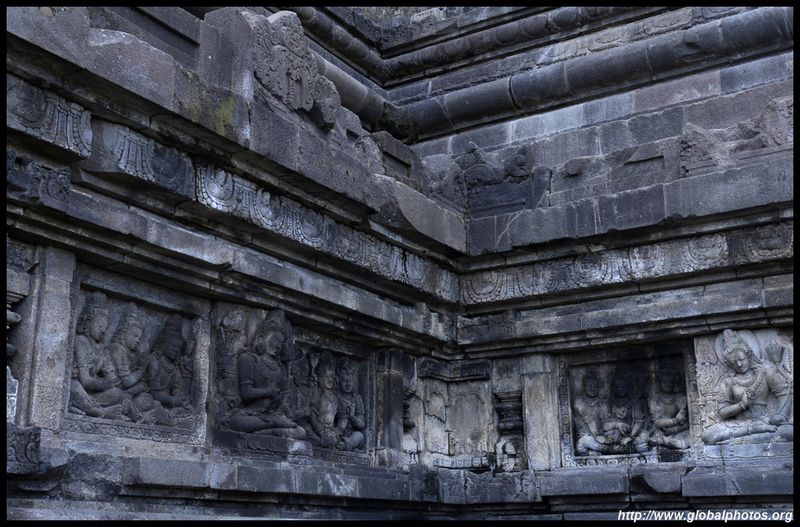 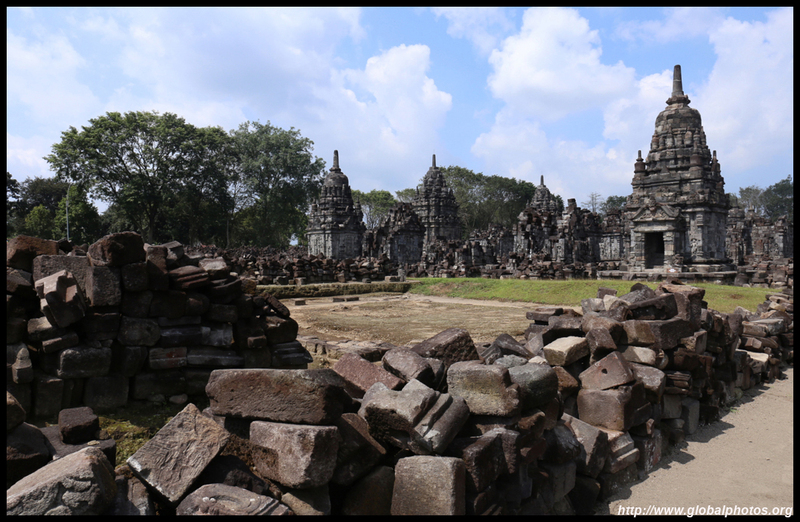 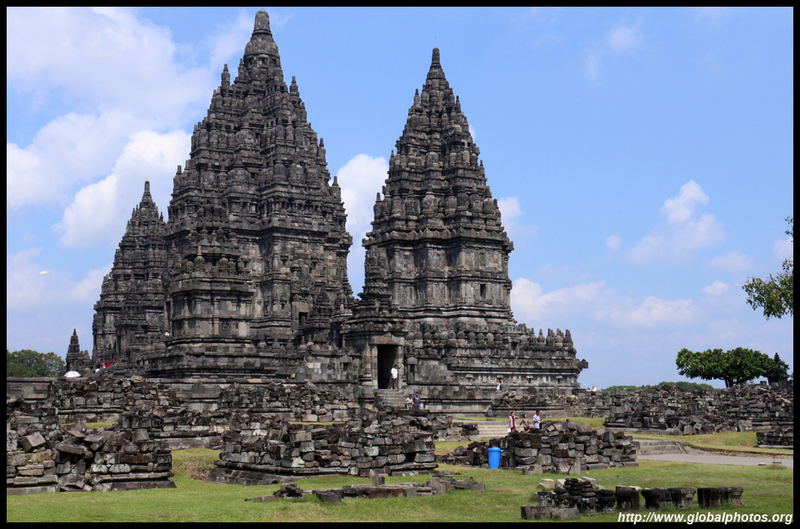 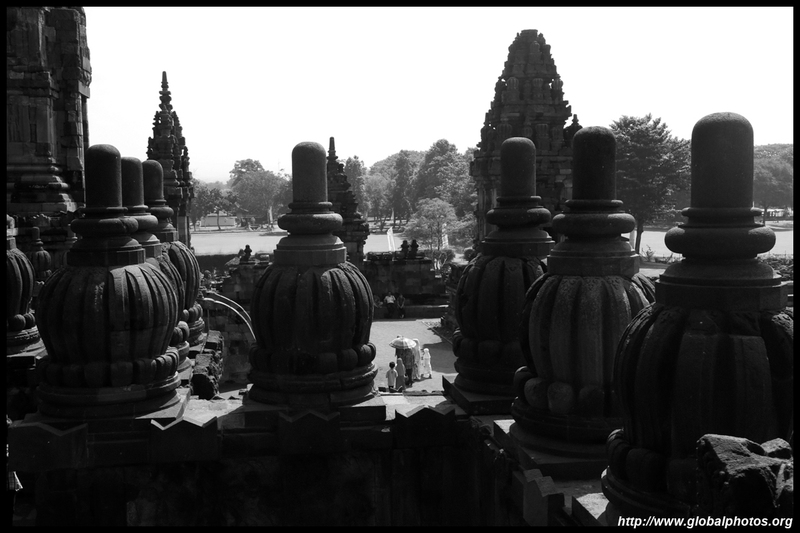 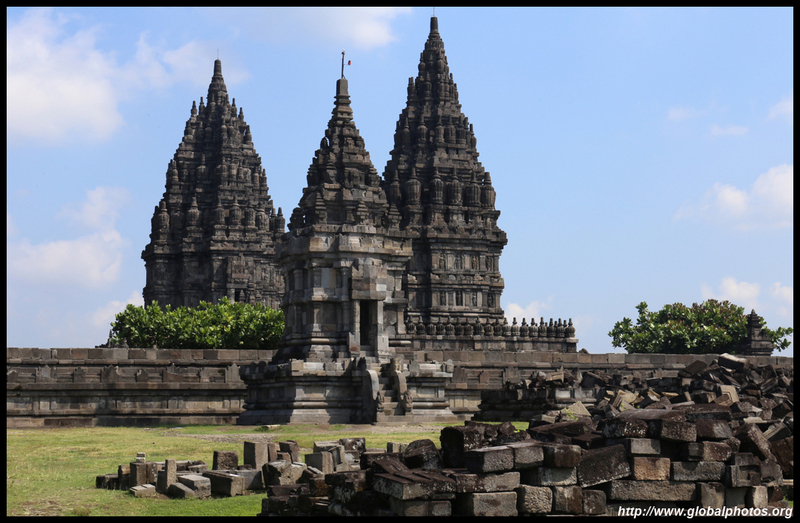 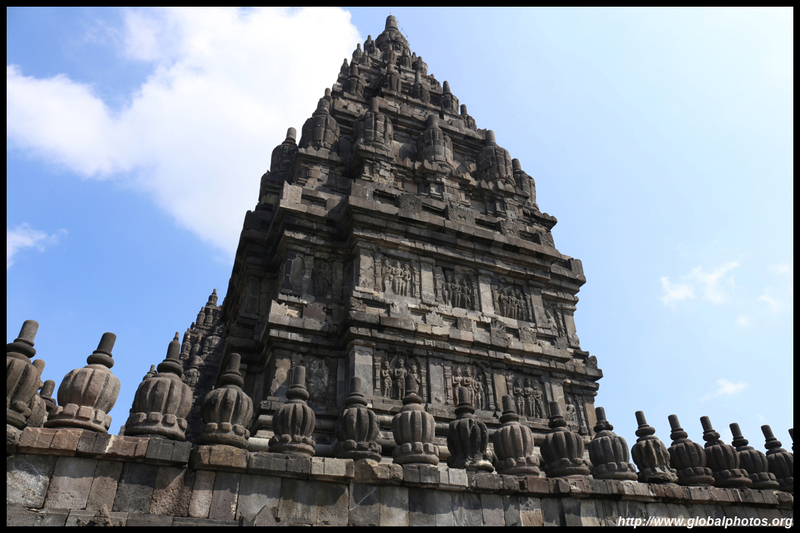 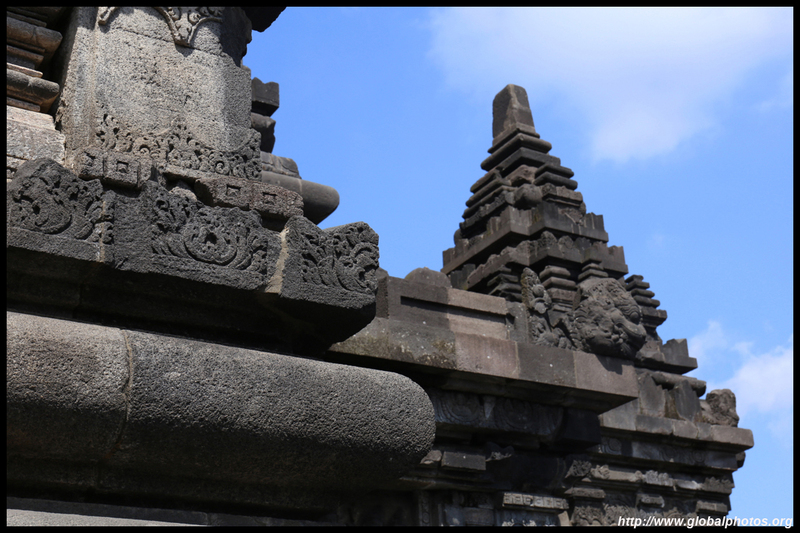 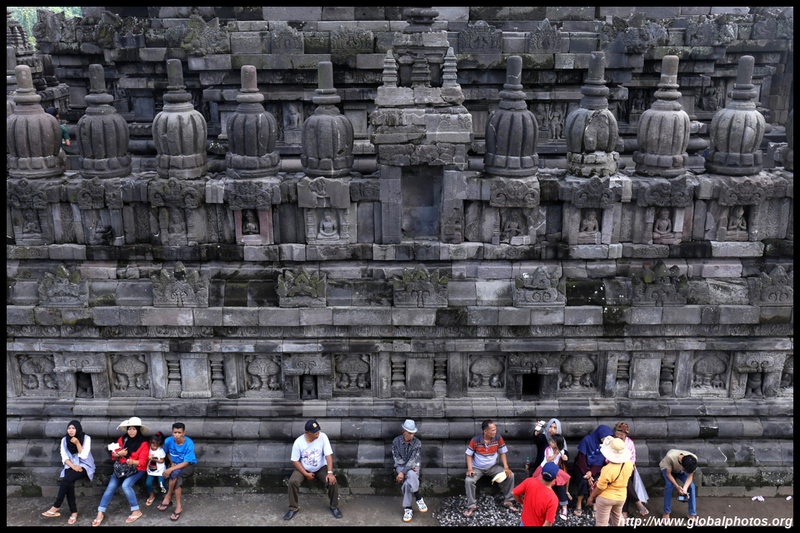 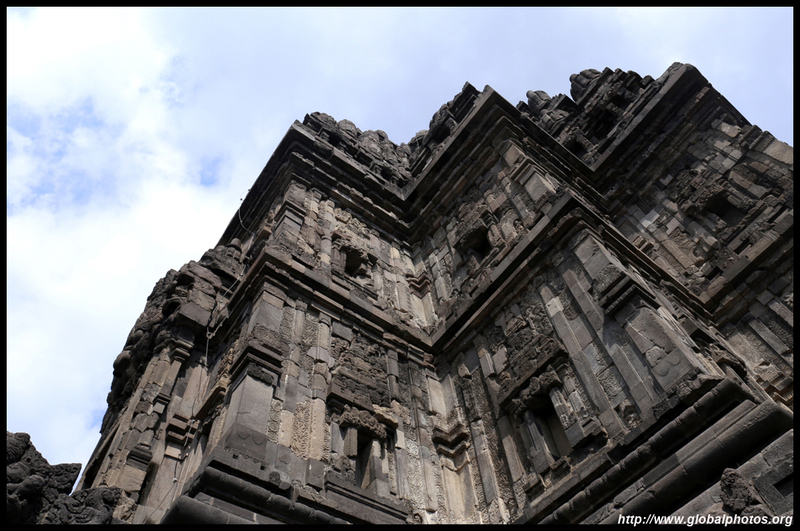 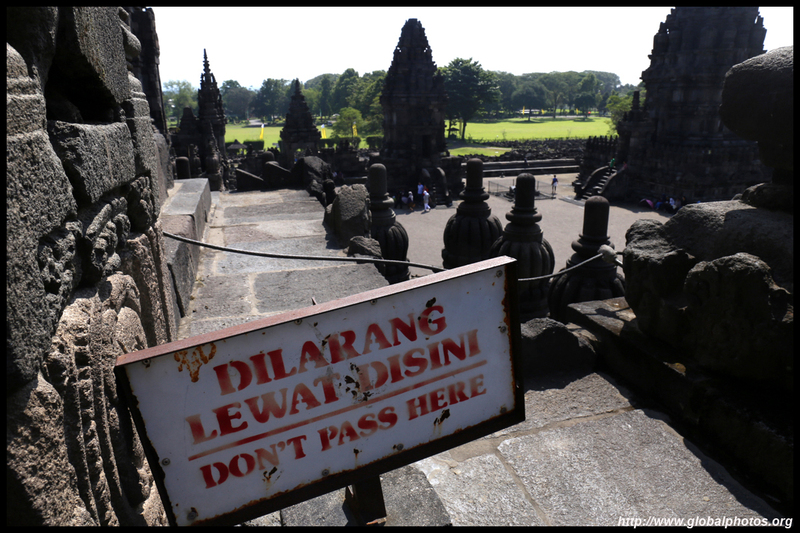 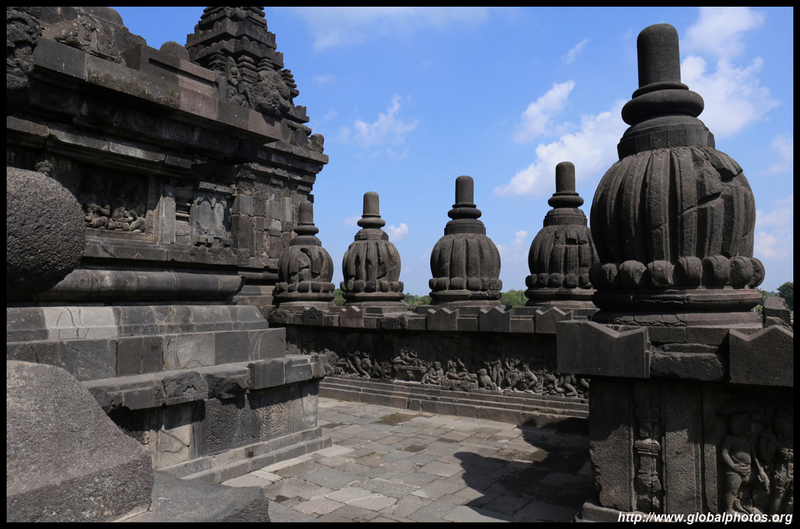 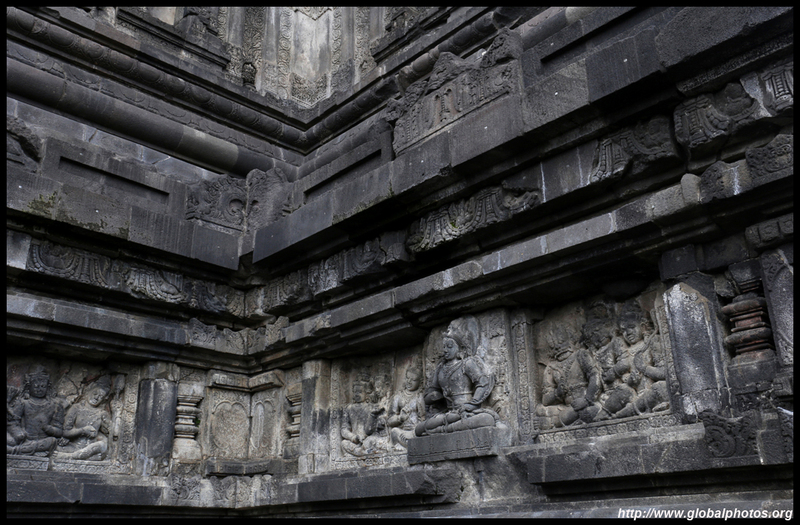 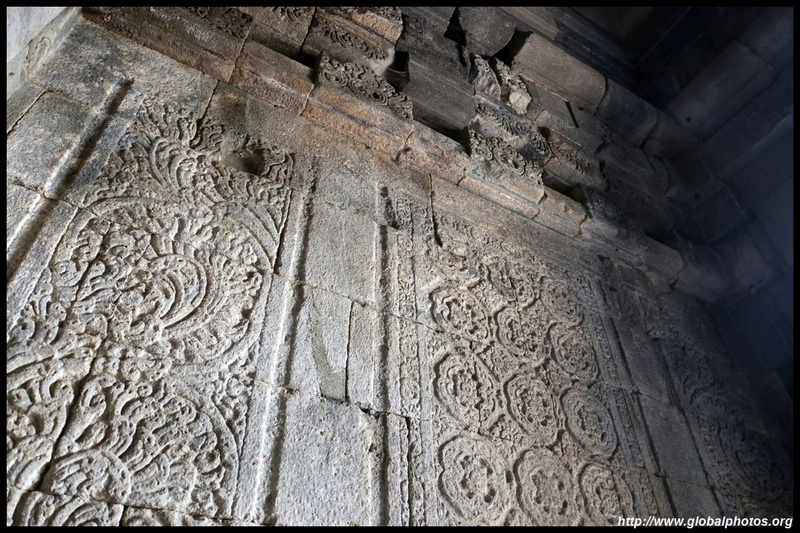 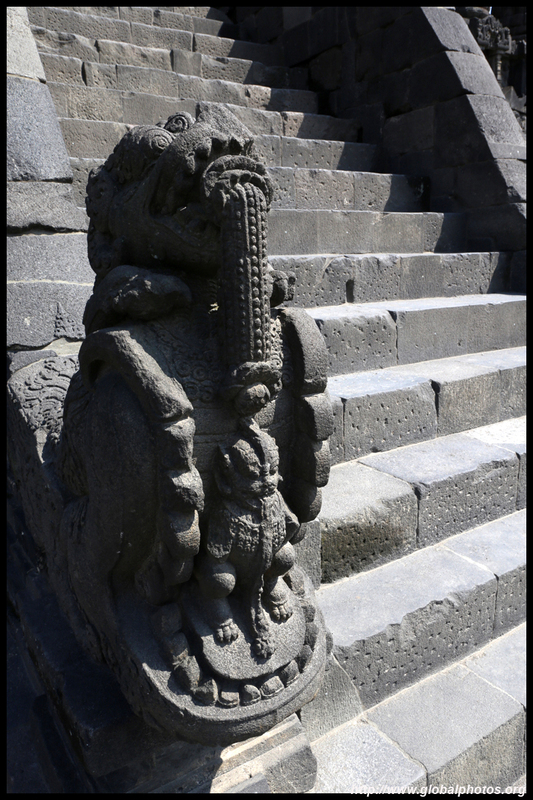 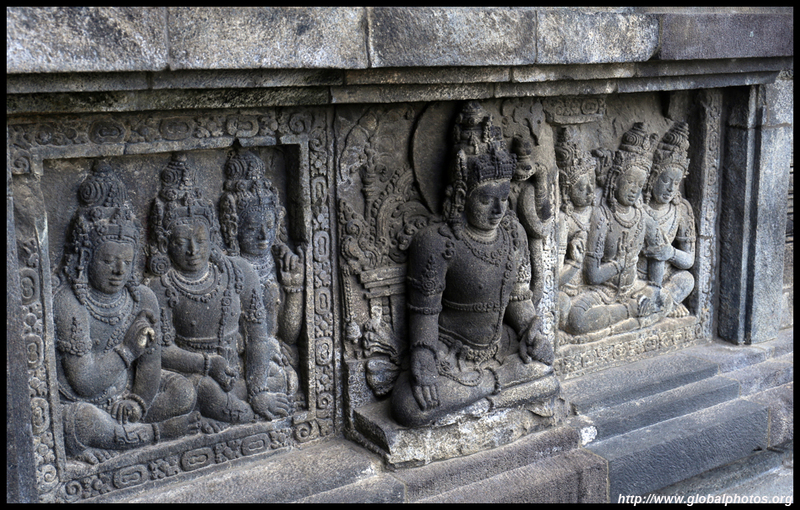 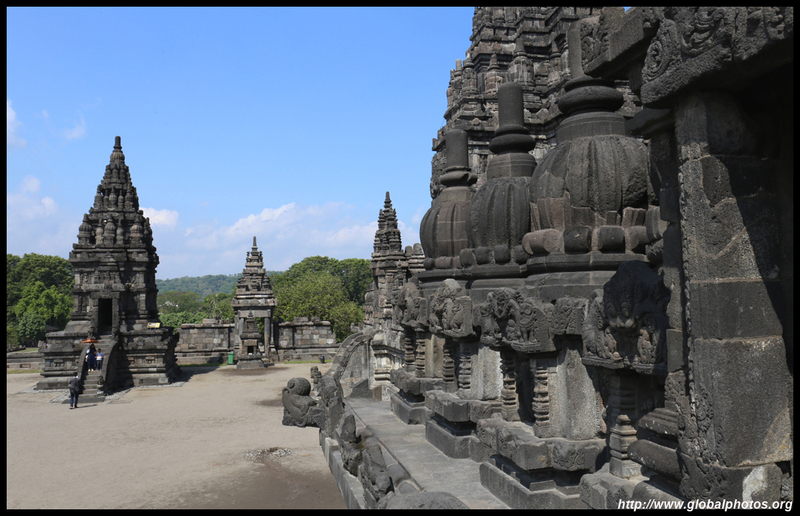 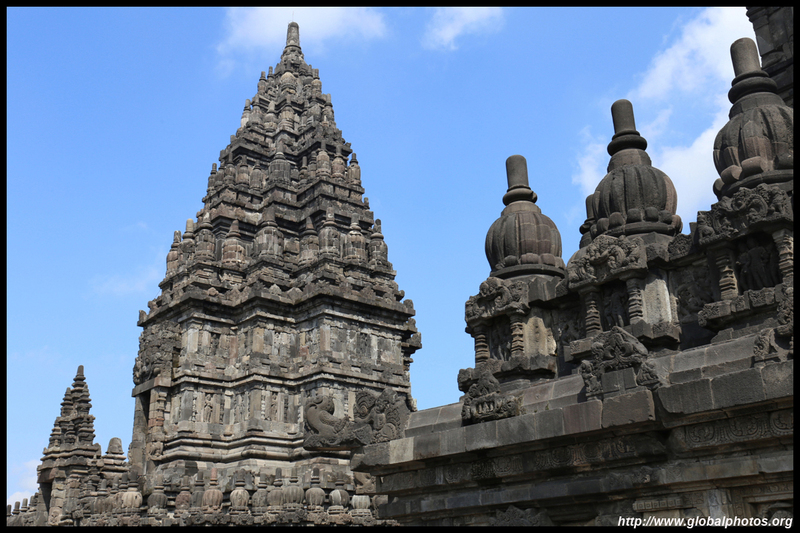 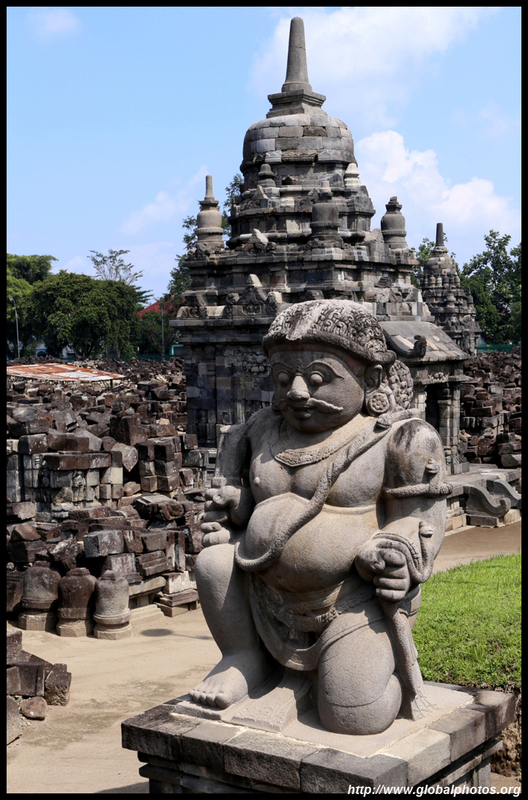 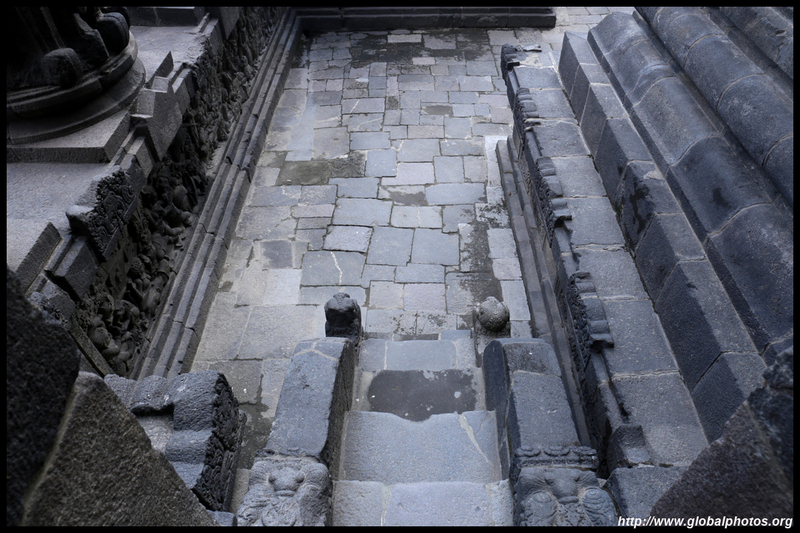 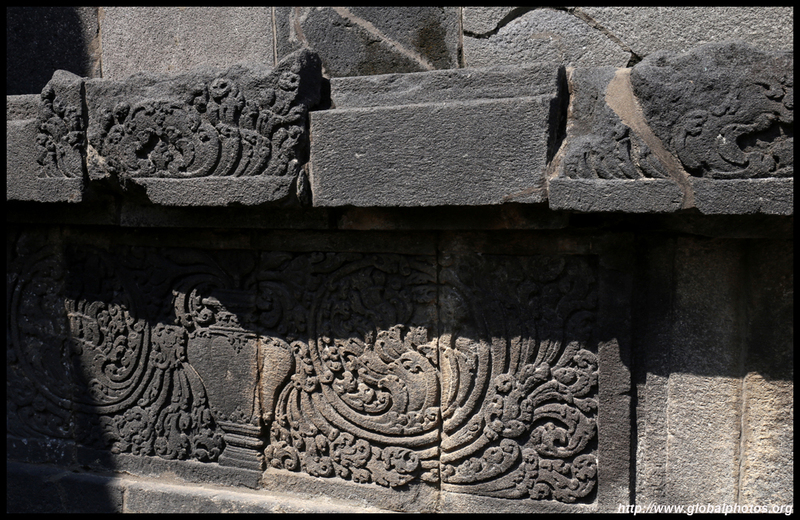 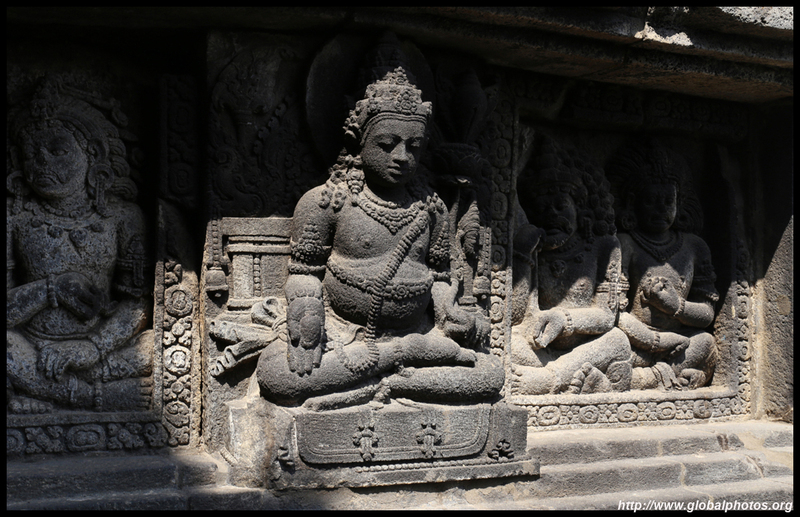 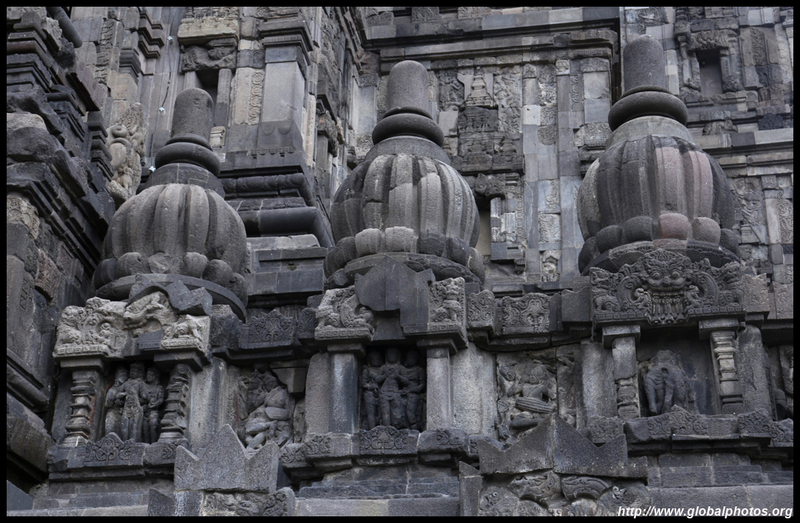 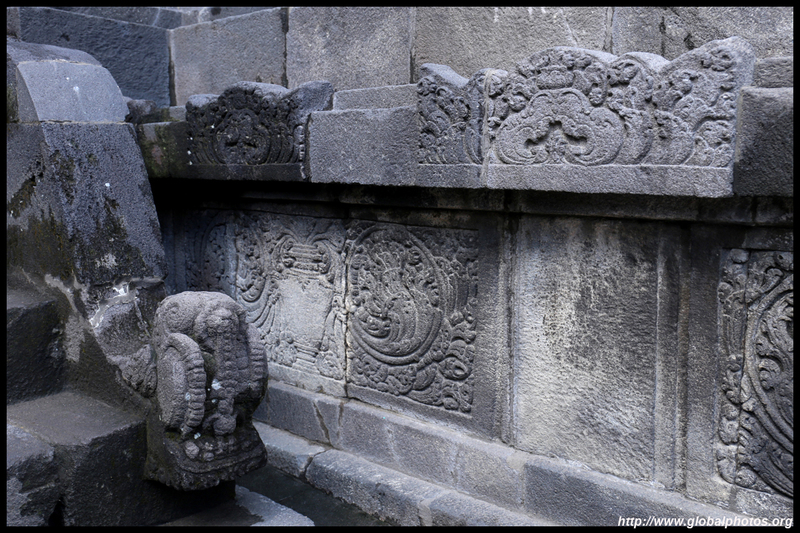 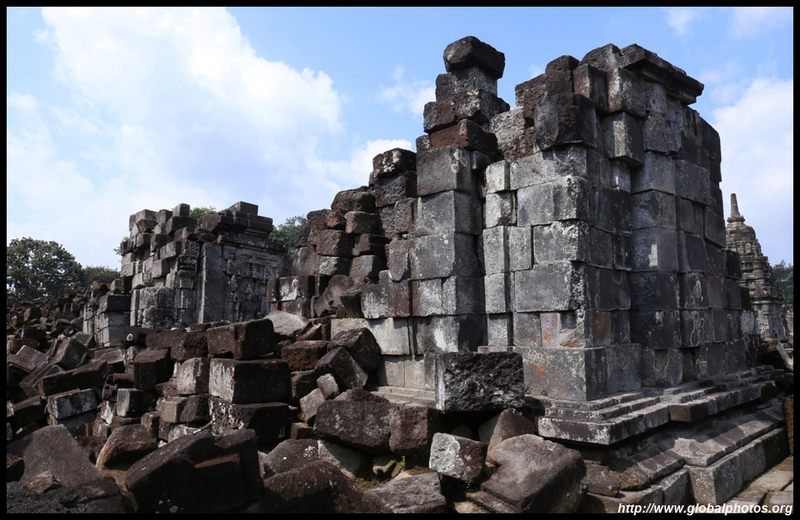 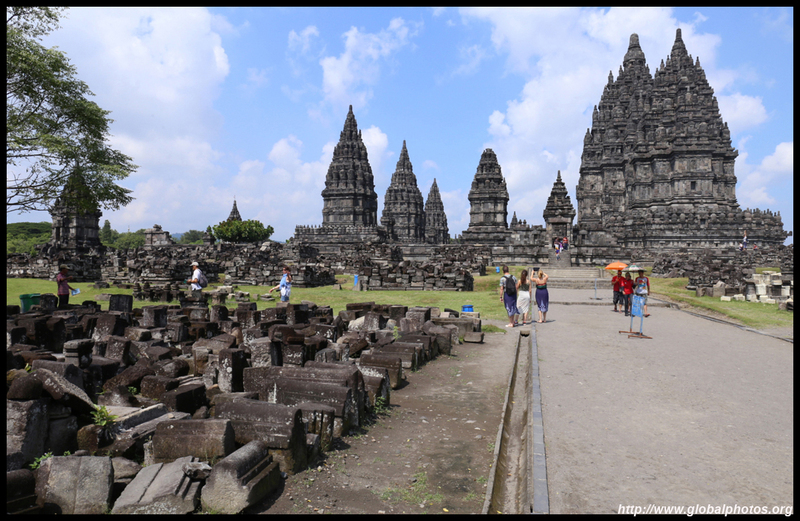 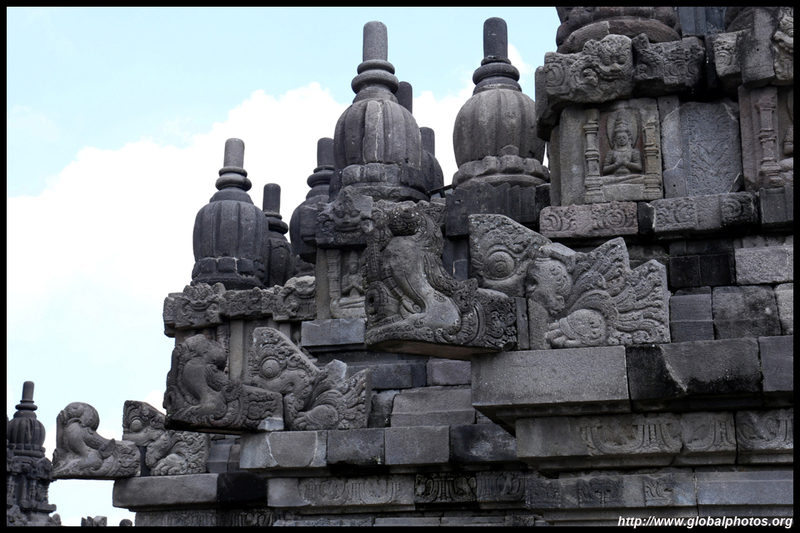 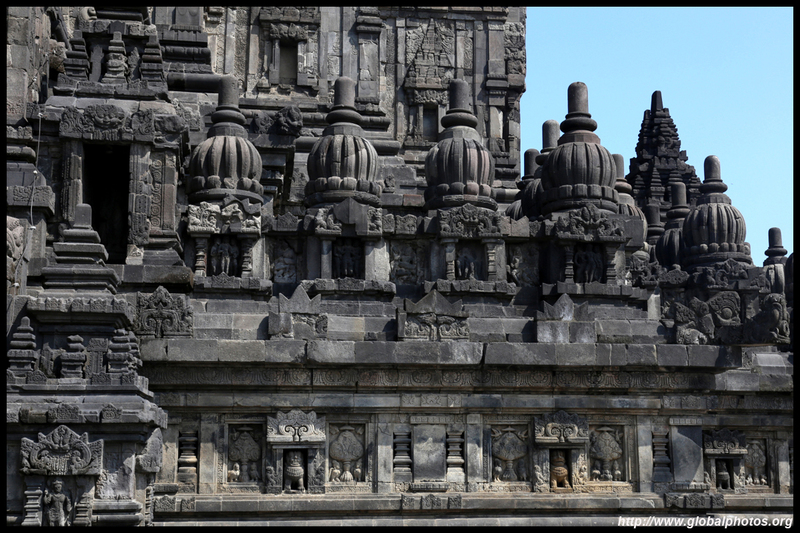 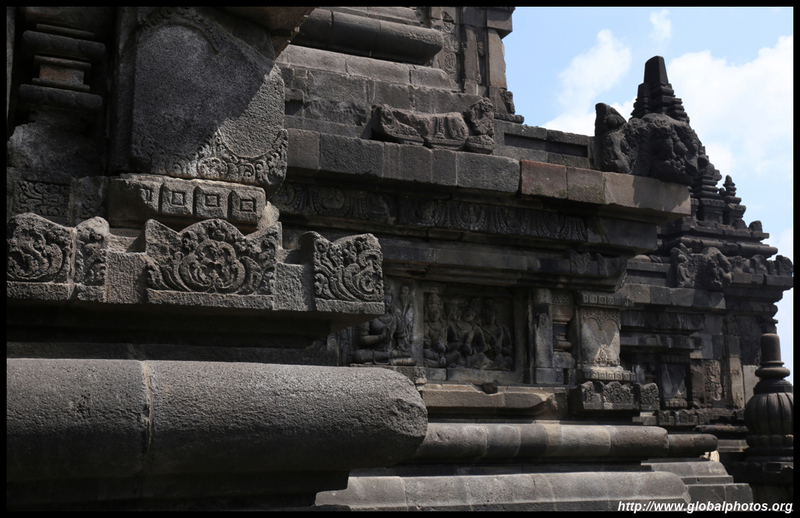 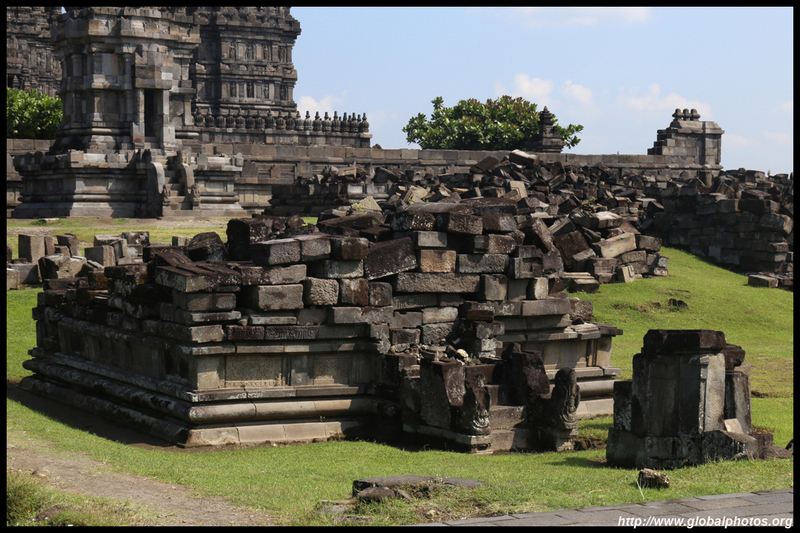 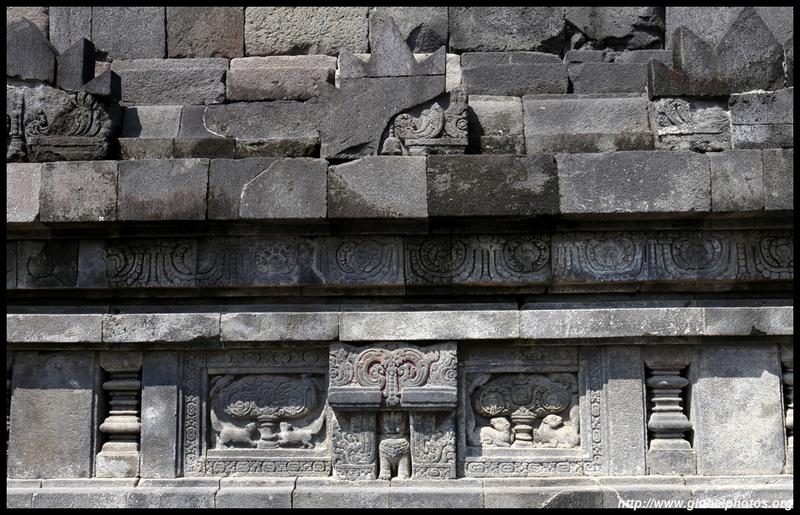 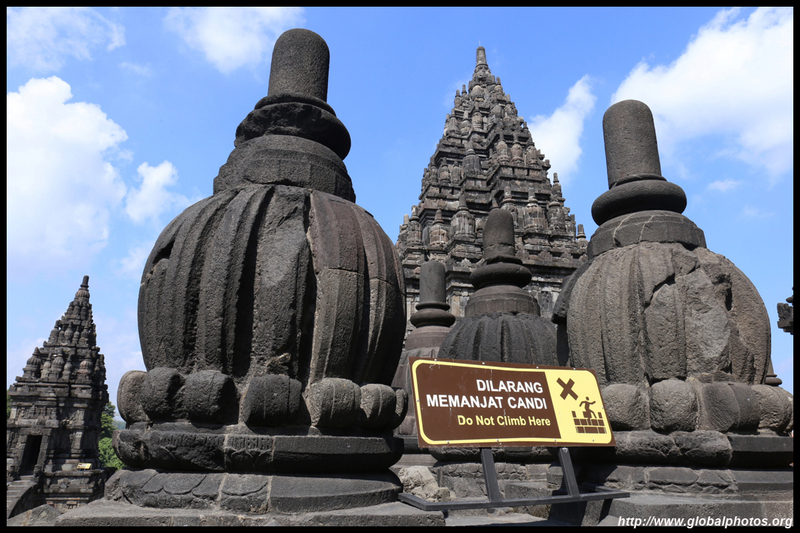 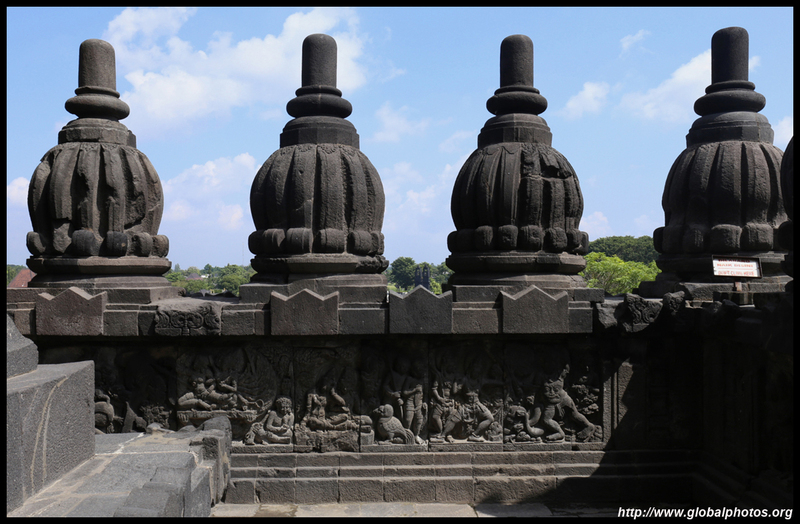 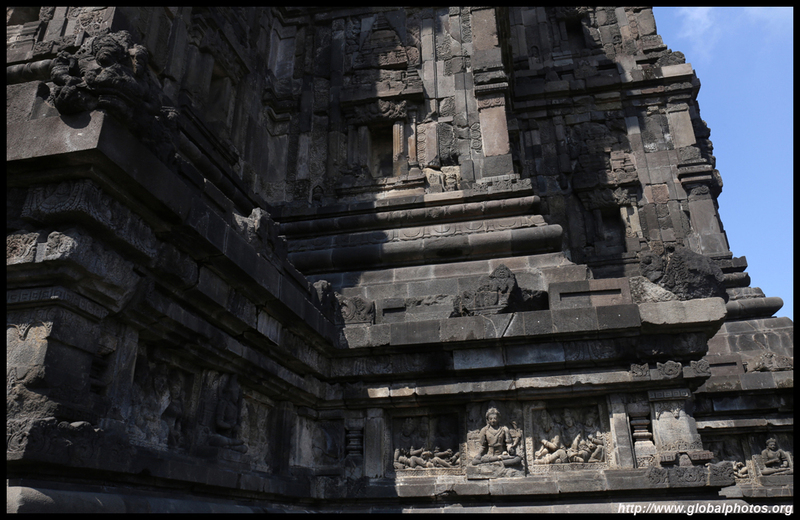 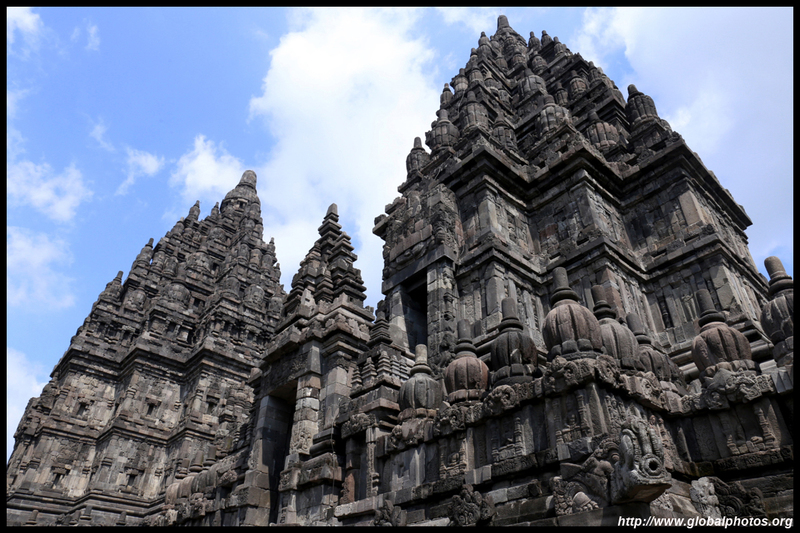 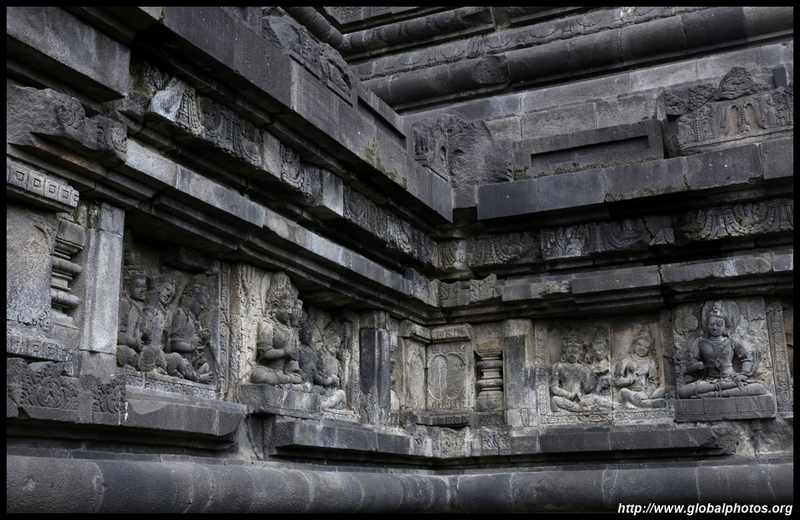 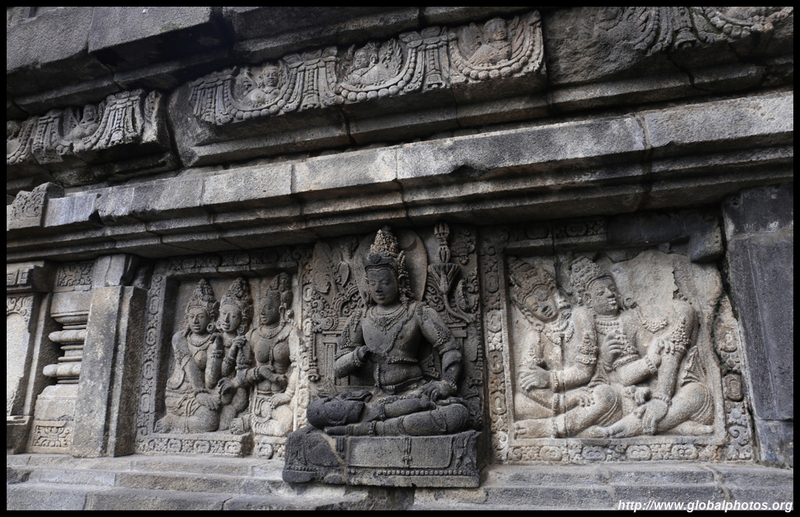 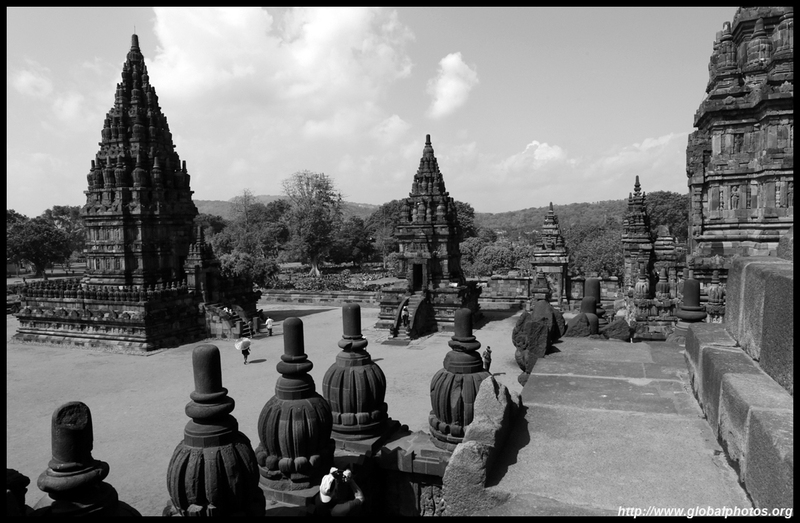 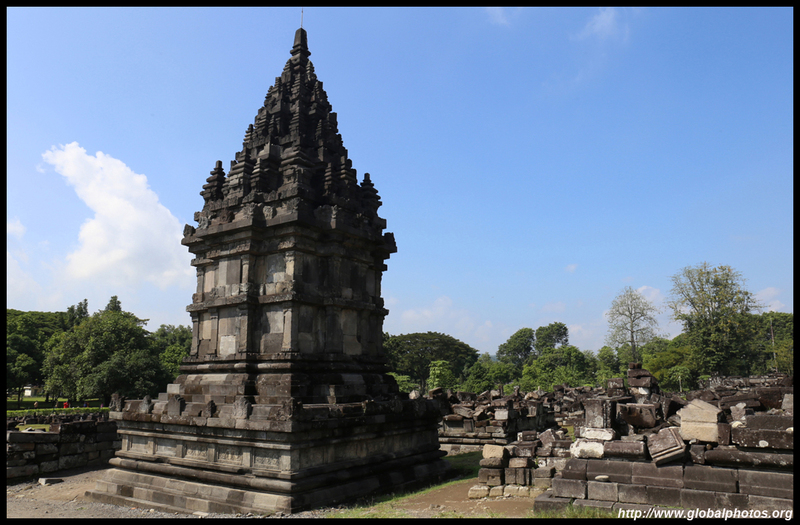 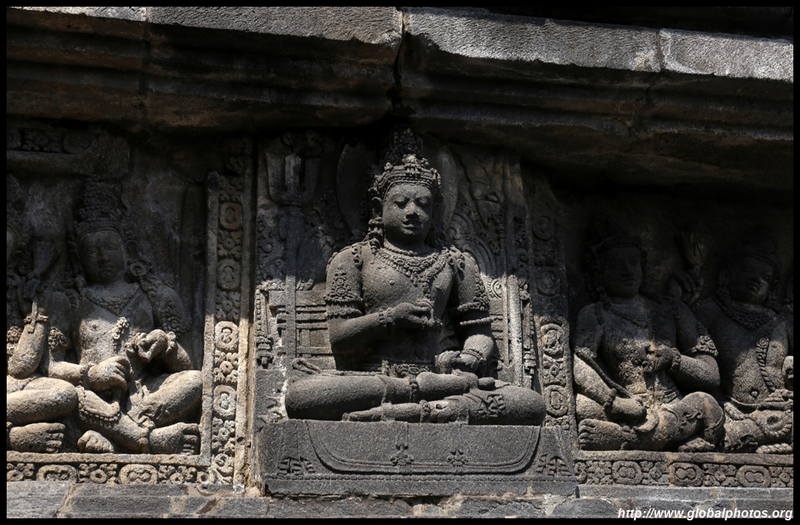 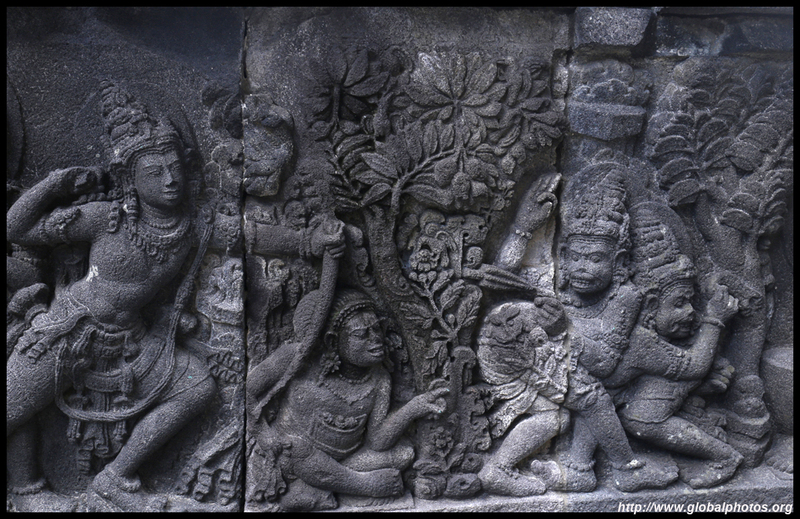 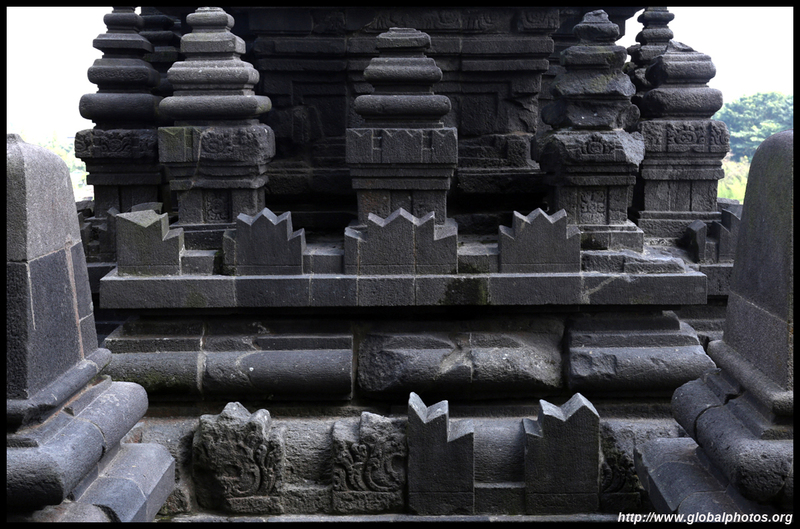 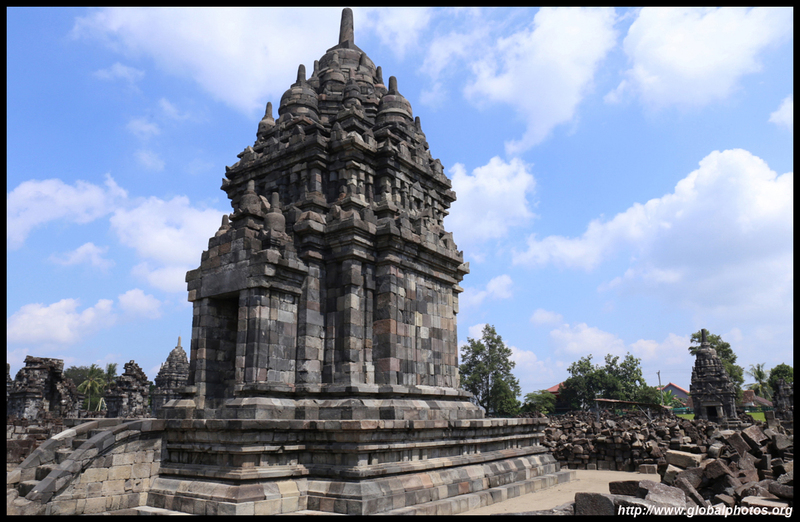 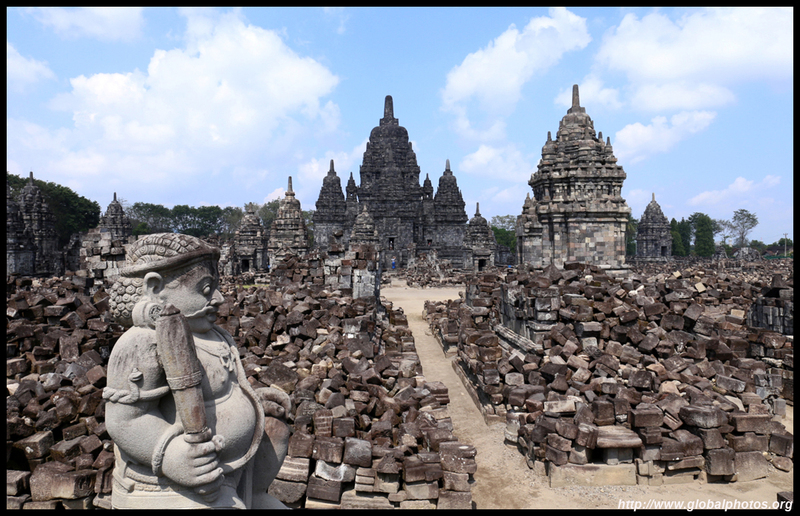 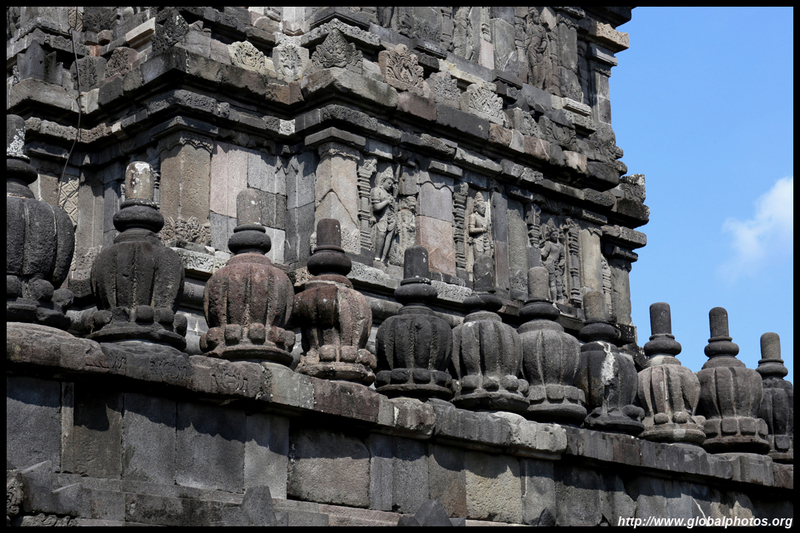 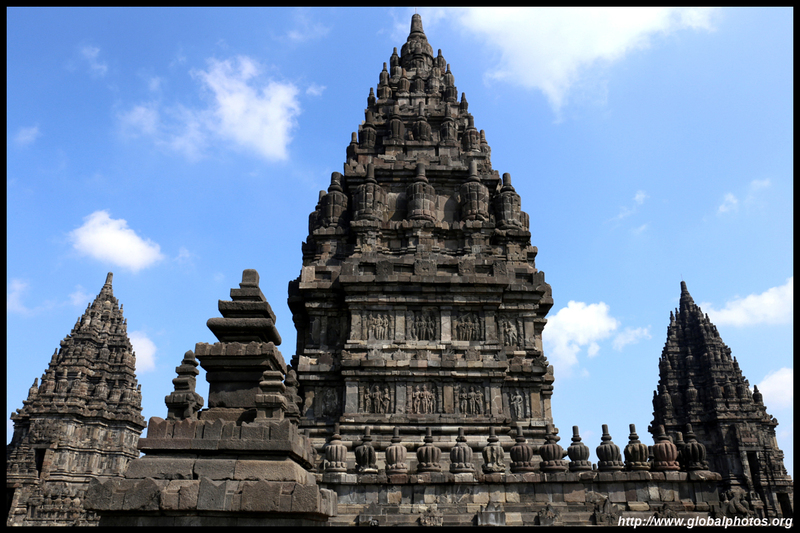 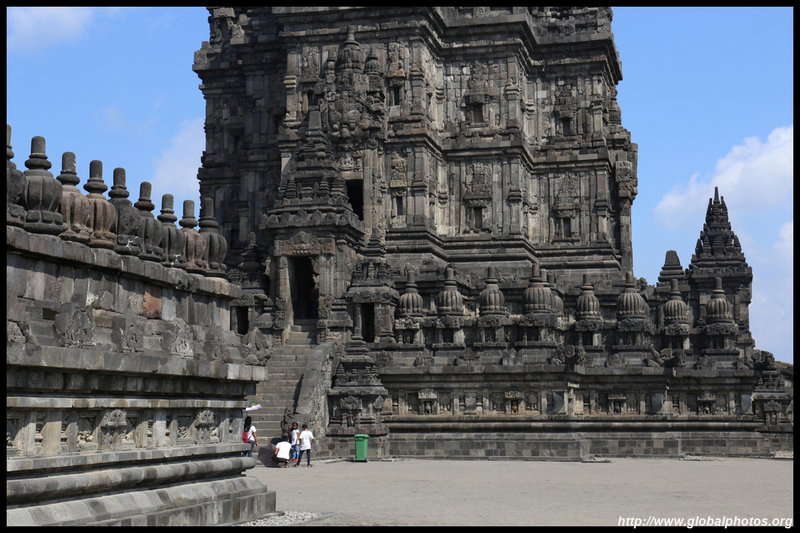 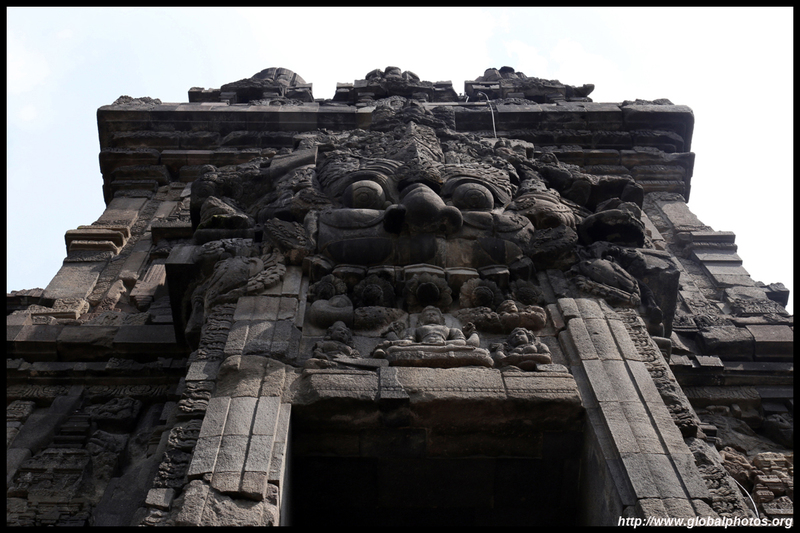 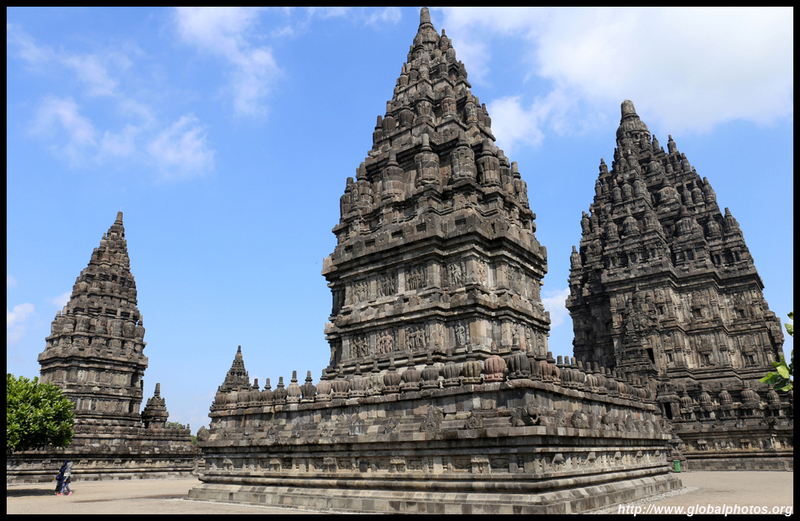 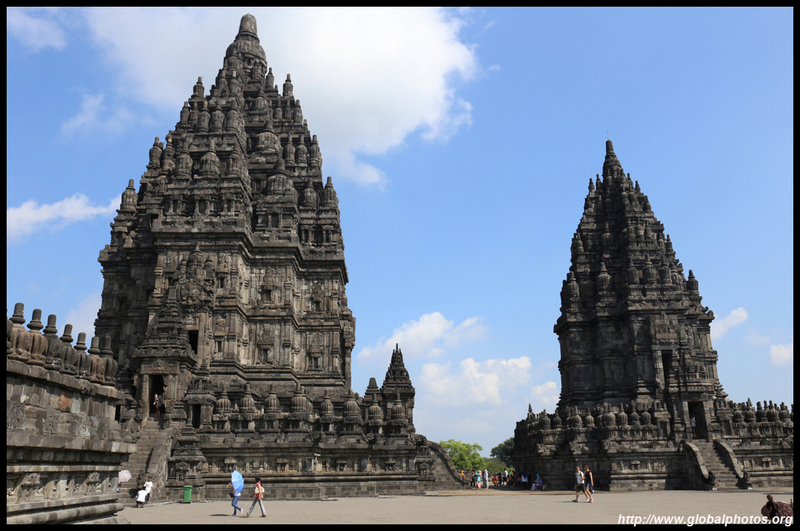 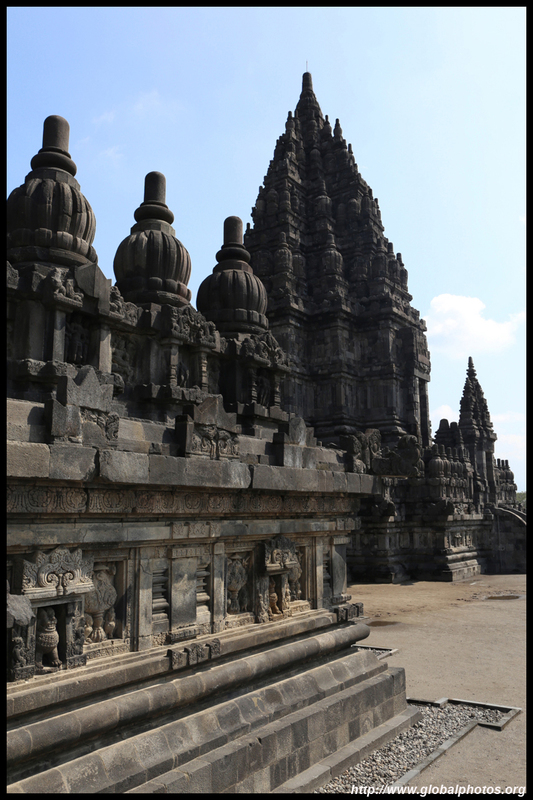 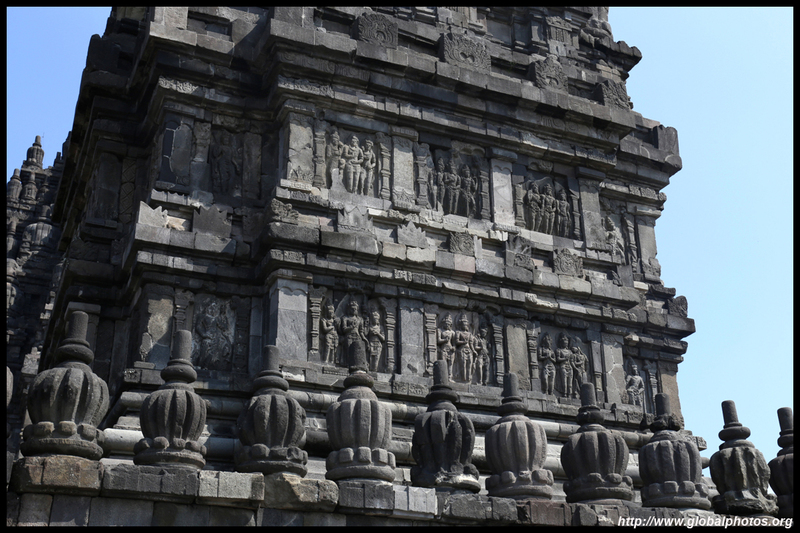 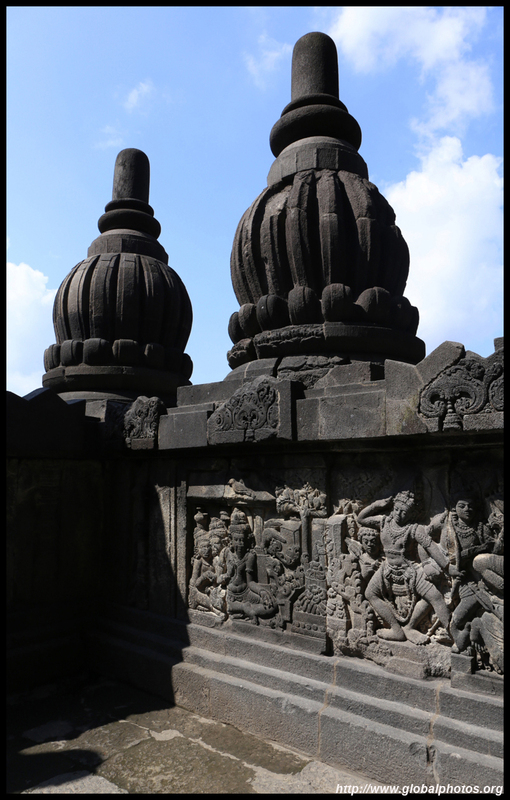 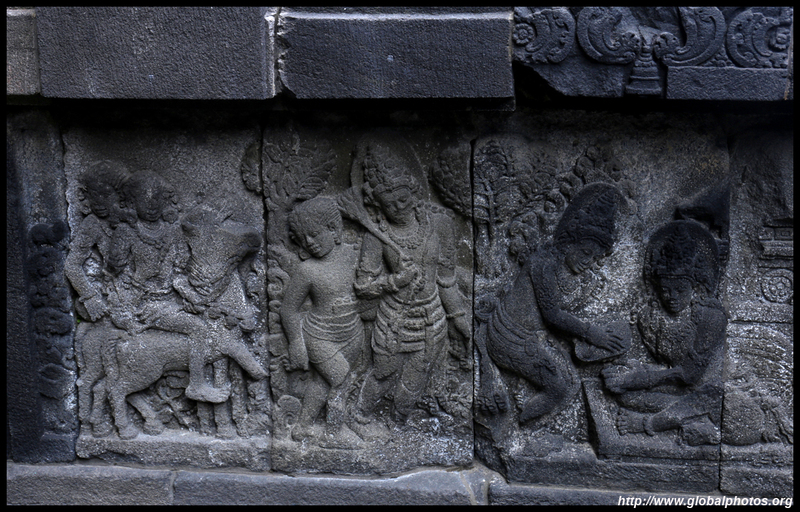 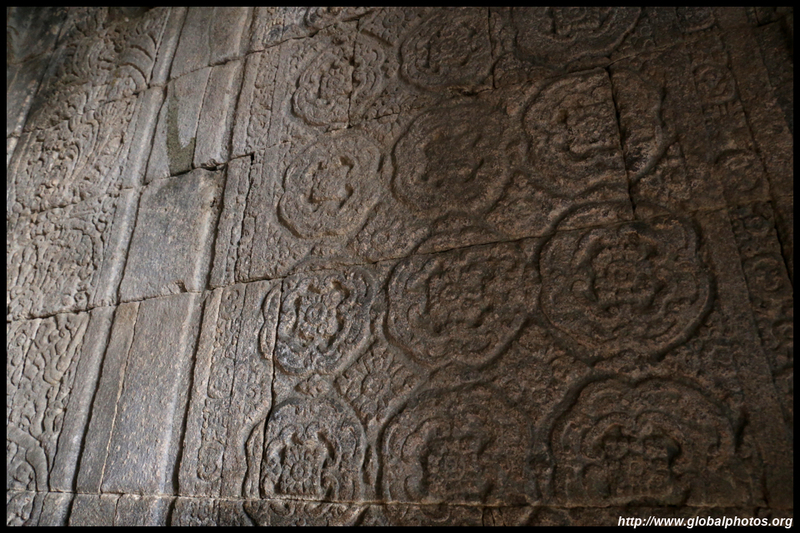 Prambanan is a complex of over 200 temples dating from the 8th century. 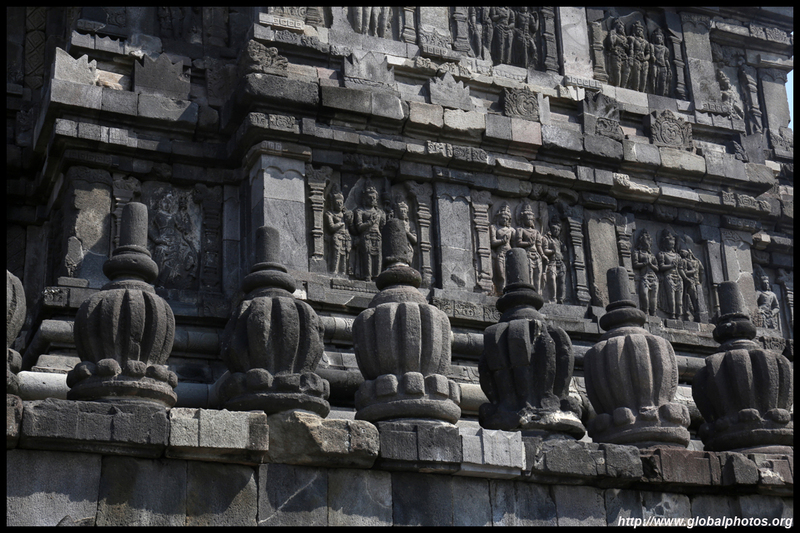 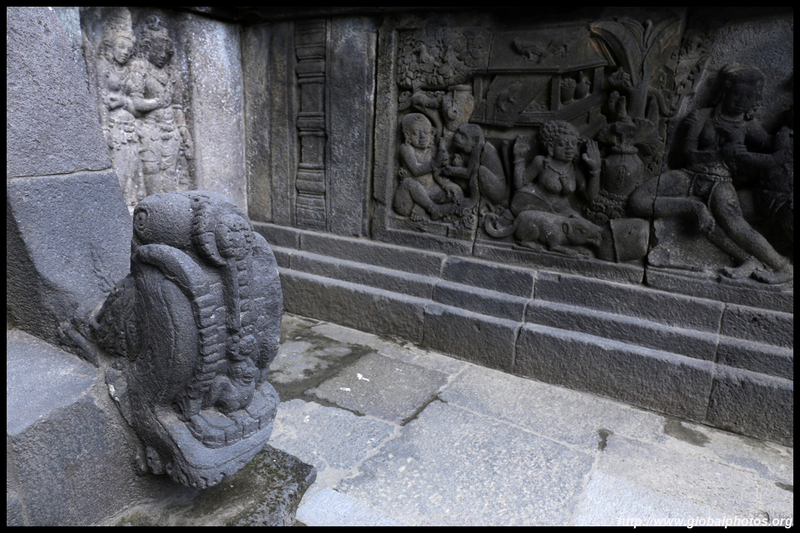 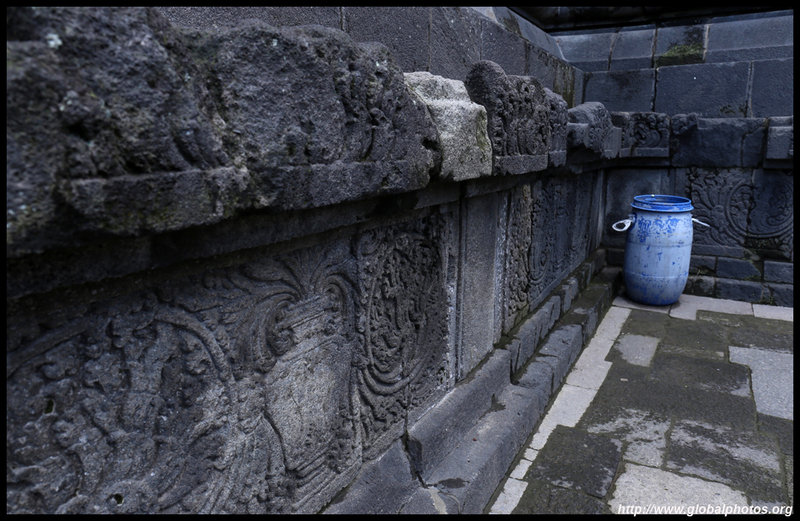 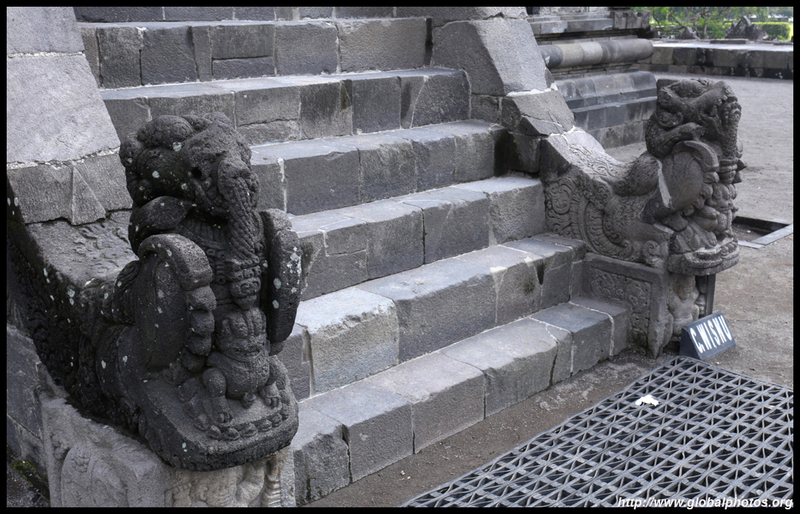 Earthquakes, volcanic eruptions, and dynastic changes have affected the structures, and the current site reflects restorations in the 20th century. 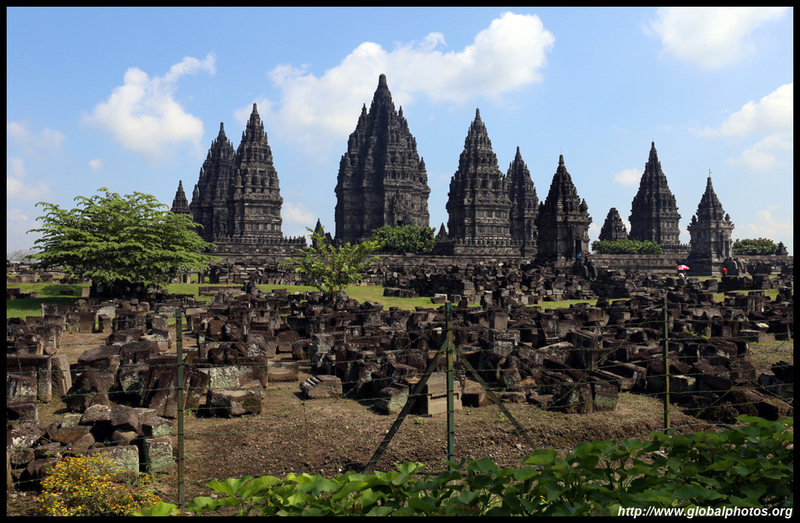 A touristy bus takes visitors to Sewu, quite a long walk from the other temples. 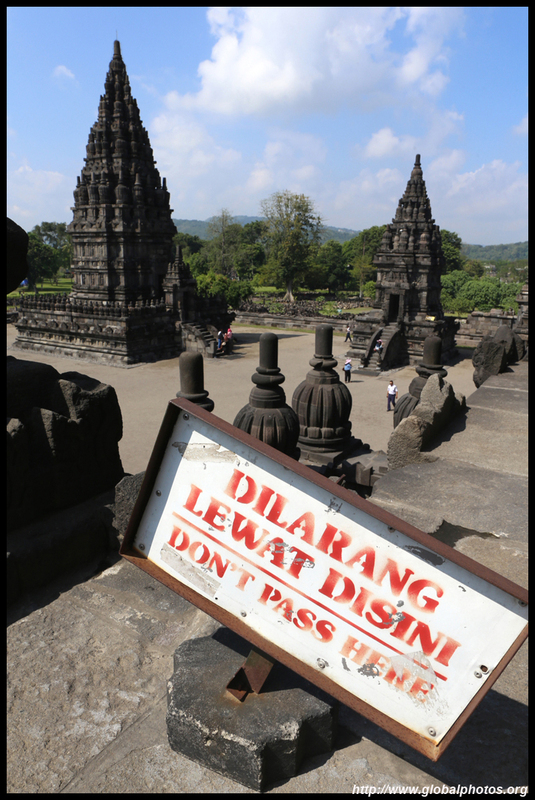 They stop for about 10 minutes for passengers to take a few photos. 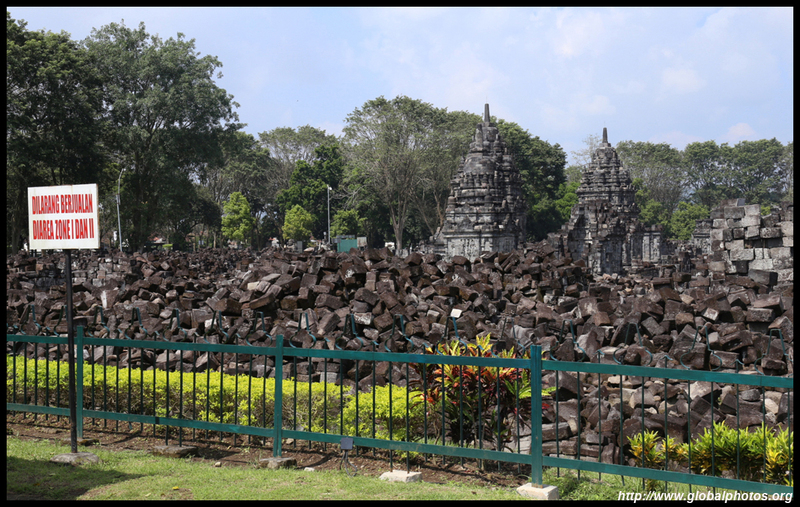 The site is quite massive, and distances are long. 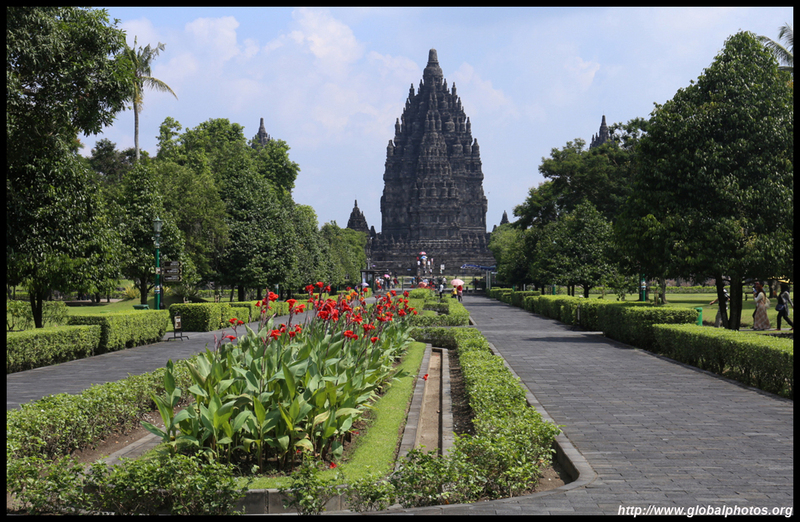 With increased tourism, they have manicured the site quite extensively to make it easier to get around, with a huge market at the end of the tour.